We can’t get enough of noise-canceling technology, and we’re not ashamed to admit it. We think it delivers amazing sound experience that has completely revolutionized the way that we take in our music, and that’s something to be celebrated. Not satisfied with simply incorporating noise canceling technology into their devices, these brands have seen the potential that noise canceling technology has to offer and created devices that utilize its capabilities to the fullest with innovative new functions and designs. It’s an exciting time for audiophiles and headphone-users, and we hope you share our excitement in the best the industry has to offer for this scintillating new tech. Equipped with JBL’s legendary signature sound, these headphones will bring the sound of theaters, arenas, and studios right to your ears. Its active noise canceling feature provides an immersive sound experience and its Bluetooth feature gives you the convenient privilege of hands-free calling. They can be especially useful if you need to work on a project or read an important business proposal and are in need of a quiet environment. 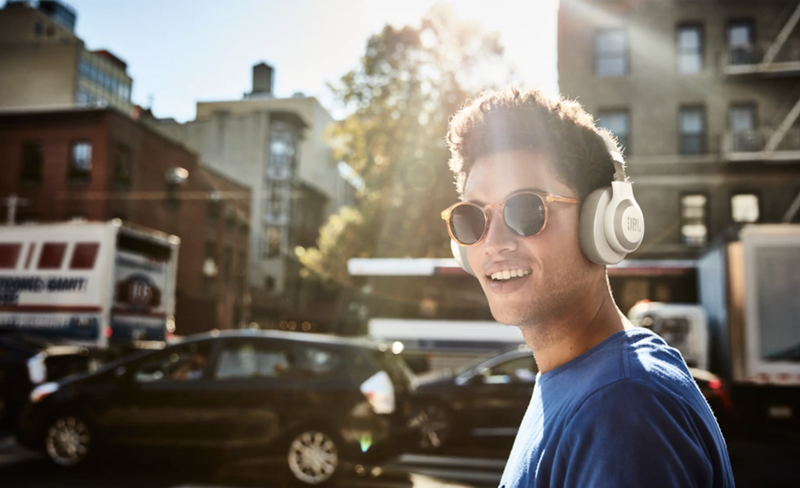 These headphones are also perfect to use for a walk through the park or for a relaxing night of binge-watching shows on Netflix. Other features include up to 24 hours of battery life on just two hours of charging, seamless switching between calls and music, and one-click Siri or Google Assistant activation. With three color options and ergonomic design, these headphones will keep you in comfort and style. With the Bose signature QuietComfort active noise canceling technology, the QC35II’s will be sure to block out all those pesky cicadas so you can sleep in peace. 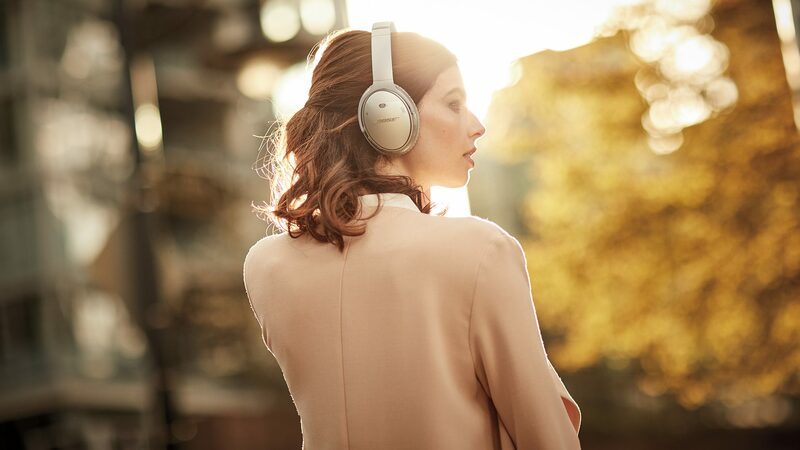 The active noise canceling technology isn’t the only thing these headphones have going for it. These headphones feature a cushy headband and have up to 20 hours of playing time using Bluetooth or 40 hours using a wired connection before the next charge. The custom volume equalizer settings make your music sound exactly how you want it to. A new feature will now even make these headphones Amazon Alexa compatible headphone so you can tell Alexa to play music, listen to the news and check the weather without moving a finger. Sports earphones are an interesting niche in the headphone world. Despite their ubiquity these days, they come with a very specific set of requirements that required innovations within the tech community, and people are improving on their design with every iteration. Just think; only three short years ago, the world saw the first truly wireless headphones, and now we’re here with the latest in that line of technology. The Sony True Wireless Noise Cancelling Sport Headphones are doing just that with some interesting new features that make using earphone technology more seamless and easier than ever. What caught our eye was the “ambient sound mode”, where the noise canceling feature is altered to allow you to hear the outside world while still listening to your music. The earphones are completely Bluetooth, so no wires will dampen your workout experience, and the earphones can deliver 9 hours of music on a single charge, so you can push through several days of exercise before having to charge them again. They’re also completely sweat-resistant with an IPX4 industry rating, an important feature for exercising, and their earbud design ensures they stay comfortably secure as you move to and fro. With fascinating and impressive design features, we think these headphones are pushing noise canceling technology in the right direction. We know that there are hundreds of new gadgets and gizmos trying to grab your attention in today’s busy world, which is why we at InMotion make it our duty to only showcase some of the most spectacular electronics that get us excited ourselves. Which headphones were your favorite? Let us know in the comments! For more information on incredible technology and the very best in the digital age has to offer, make sure to check us out online, or in stores.